All car accidents are serious, but T-bone collisions can be life shattering. These accidents happen when one car slams head-on into the side of another car. The body of a vehicle has less material on the sides. Therefore, the driver and passengers in the impacted car will face a high risk for serious injury or even death. T-bone accidents can occur for a number of reasons. Unlike rear-end collisions, T-bone car accidents have no standard rules for determining who is at fault. Thus, you may need an experienced personal injury attorney to evaluate the incident, establish liability, and obtain your rightful compensation. 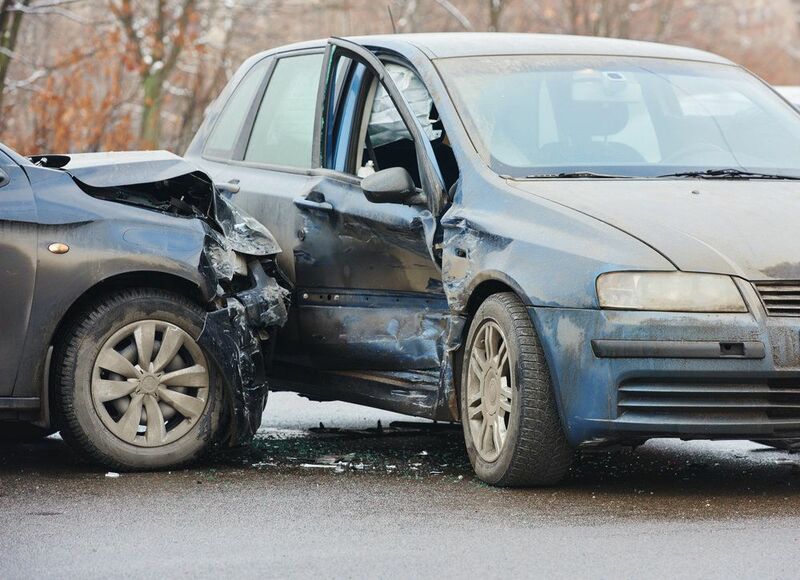 To learn more about T-bone auto accidents, contact our Salt Lake City practice today. How Do T-Bone Accidents Occur? The vast majority of side-impact collisions are the result of driver error. These accidents most often occur at intersections. One driver will not stop or will fail to give right of way to another driver. In other cases, one driver may make a left turn in front of an oncoming car. Inattention is often a factor in T-bone accidents. Drivers are often distracted by texting, talking on their phones, eating, or other activities behind the wheel. Sadly, in some cases, alcohol can play a role. T-bone car accidents can have devastating effects for several reasons. First, as stated above, the body of a vehicle has less protection on the side. Federal laws have set certain standards for side impact safety ratings. However, the fact remains that most people pay more attention to the front and rear ends of cars. Second, T-bone collisions often happen at high speeds. When drivers do not notice a stop sign or red light, they may not have time to apply the brakes at all. Because of the high speeds and excessive force of T-bone collisions, the impacted car may be pushed out of the lane and into another vehicle. In some instances the crash could even flip the other car over. Sometimes, T-bone collisions may lead to wrongful death. When one driver rear ends another, it typically clear who was to blame. On the other hand, when a T-bone collision occurs, liability may not be immediately apparent. Attorney Lynn Harris can evaluate the collision and the scene of the accident to determine who may have been at fault. He can also read police reports and interview eye witnesses. If applicable, he will also review footage from red light cameras. With a thorough investigation, he can usually determine driver negligence. For example, if one driver ran a red light, he or she is clearly at fault. After determining liability, he will work for the money you need to cover medical bills, lost wages, and other expenses. If you were involved in a T-bone collision for which you were not at fault, Attorney Harris is ready to help. Contact us today to schedule an evaluation and get started on the path to justice.